San Francisco has always been a forward thinking, innovative community and has consistently lead the charge in the green movement way back since the era of conservationists like Sierra Club founder John Muir. And today, Muir would be proud of the city’s legacy that is embodied by urban-sustainable food startup Lucky Bolt. 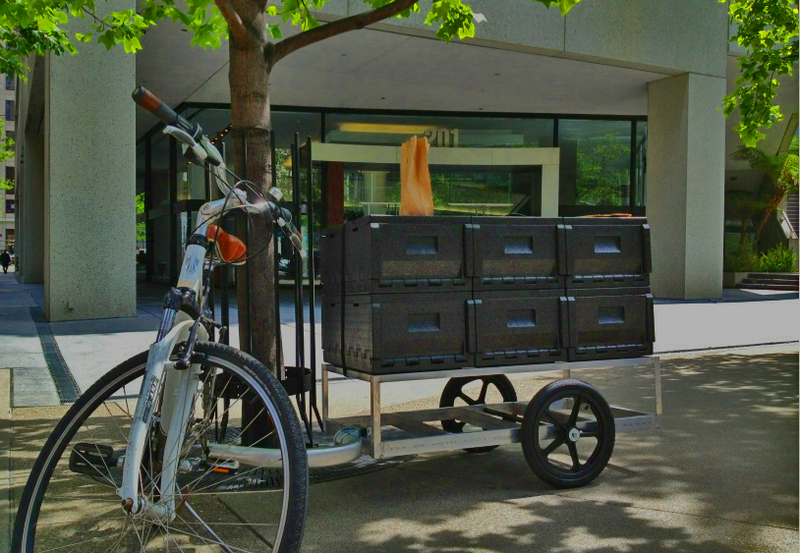 Lucky Bolt was founded by visionary Kristopher Schlesser, who saw an opportunity to take food delivery to the next level by using bikes to deliver meals and compostable, recyclable, plant-fiber packaging to carry the food. Instead of waiting for restaurants to make the switch, Kristopher made it for them by buying the packaging himself and then selling it to restaurants at cost. The Lucky Bolt concept is taking off and big names are taking notice — we received word that Forbes Magazine just ran a story on Lucky Bolt, their focus on sustainability and their choice to use Be Green Packaging as a central part of their business.